Átila Iório, Maria Ribeiro, Orlando Macedo et al. 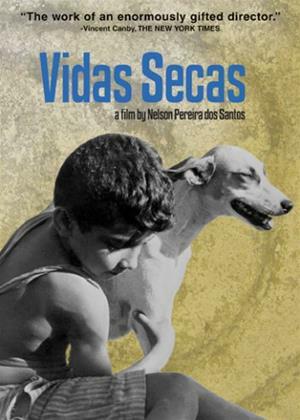 Filmed with a strong sense of compassion for the impoverished and an underlying hatred for the injustice which forces them into the lives they must live, this is one of the first works from Brazil's Cinema Novo. A poor Brazilian family struggle to earn a living when they take a job overseeing the livestock of a wealthy rancher. They move into an abandoned house, and their fortunes begin to take an upward turn. The father is duped into a card game with a crooked local policeman. The ranch hand protests, and a fight ensues that results in his beating by the cop. Despite being the victim of injustice, the man believes there should be some semblance of law and order and makes no protest about the incident. A severe drought has the man moving on from the ranch with his family to earn their living elsewhere.